The editors continue the commemoration of the Civil War sesquicentennial with “‘Musket Balls Was Thicker Then any Hail….,’” which traces the actions at Gettysburg of Green County soldiers in the 120th New York Regiment. The Scholarly Forum includes three reviews of David Schuyler’s Sanctified Landscape: Writers, Artists, and the Hudson River Valley, 1820-1909, as well as the author’s response to them. An inaugural Pictorial Essay explores the nation’s changing attitudes toward the environment by examining the landscape surrounding Palmer Falls in Corinth on the Upper Hudson —a tourist destination that became an industrial powerhouse. Teaching the Hudson River Valley is another new feature that will occasionally highlight local programs, strategies, and individuals leading the way in the practice of regional studies and place-based education- appropriately, it begins with an overview of the Teaching the Hudson Valley program and its summer teachers’ institute. 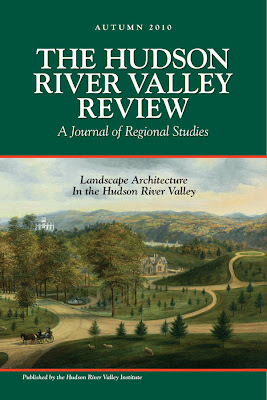 A pdf of the latest issue of The Hudson River Valley Review is now available online. 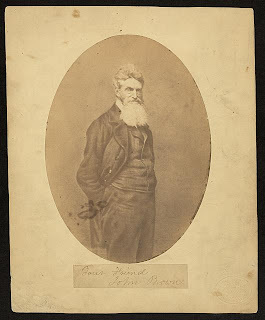 I am very interested in obtaining a copy of this pupblication as our forefathers of Clay, Palatines, traveled up the Hudson to Schoharie and then after the Revoluctionary War, they traveled west and settled in Clay. 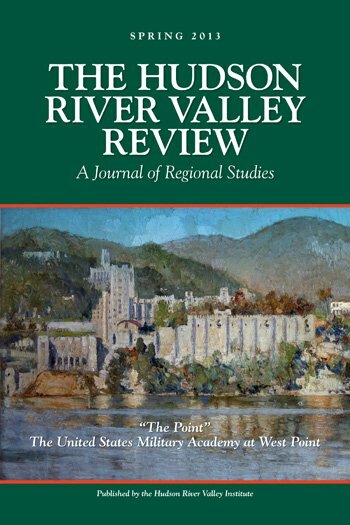 I searched and found Ppublic History Hudson River Valley review, Recent Pulications and it was a dead end. Can you help me?